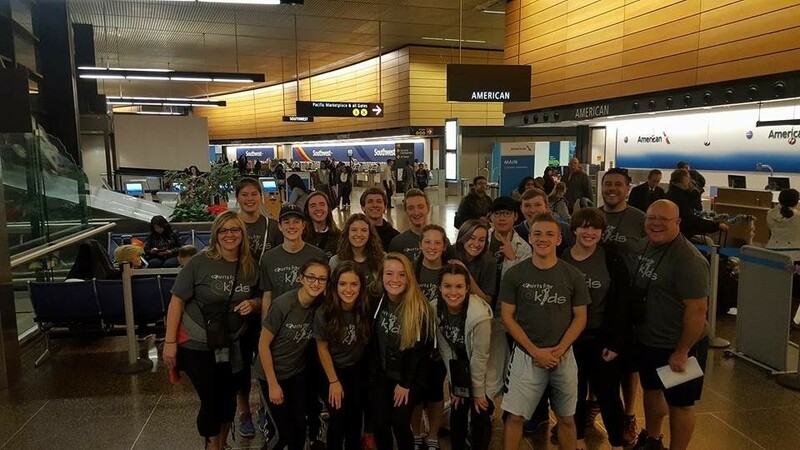 I’ll admit it, and I’m sure I wasn’t the only one: when I showed up at the Seattle airport at 8:32 p.m. the excited feeling in my gut was lined with the shiver of nervousness and something that felt like fear. A million questions and concerns raced through my mind: What if I did get sick? What if I got injured? Would the bugs be huge? What would I do if I lost my passport right before going through customs? Would the food be tasty? Would these people from Union High School, these people I had briefly met through various school activities and the training meetings beforehand, become close friends of mine sharing this experience? And most importantly: Would I be able to make a difference to Los Coralillos? Nevertheless, I walked through Seattle airport security, away from my mother, my phone and other luxuries (such as warm showers), and from whoever I was before this amazing adventure. Even with all the time I spent imagining how different scenarios on this trip might work out, I found that this trip was nothing like I had expected, and much more than I could have hoped for. Arriving at Los Corralillos almost exactly 24 hours from our departure from Vancouver, Washington, to start the drive up to Seattle, it was dizzying. So long had we anticipated this moment. So long had we imagined what memories this trip would hold. And so long had we been sitting down in various transportation vehicles. 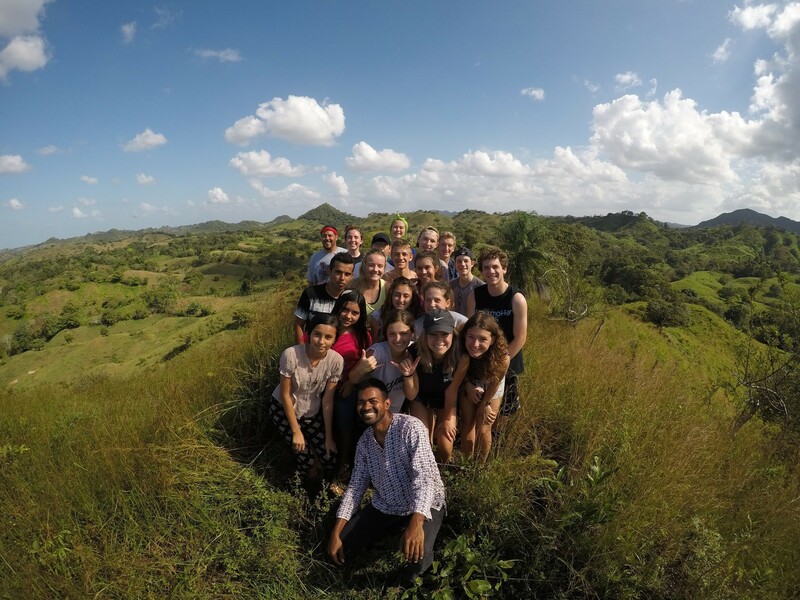 (Unsurprisingly, while the five hour bus ride from Panama City to Los Coralillos was a fun bonding experience, it wasn’t necessarily the highlight of the trip.) We finally stepped out of the bus in excitement, seeing the community people, all standing, from the elderly to the children, the men, women and children, waiting for us. Next was our Courts for Kids director’s, Anibal Cardenas, favorite part: the awkward attempted English introductions and uncomfortableness of both groups. We stood in front of the community people and waved, saying our hellos in broken Spanish, struggling to remember a few phrases in the unfamiliar language. 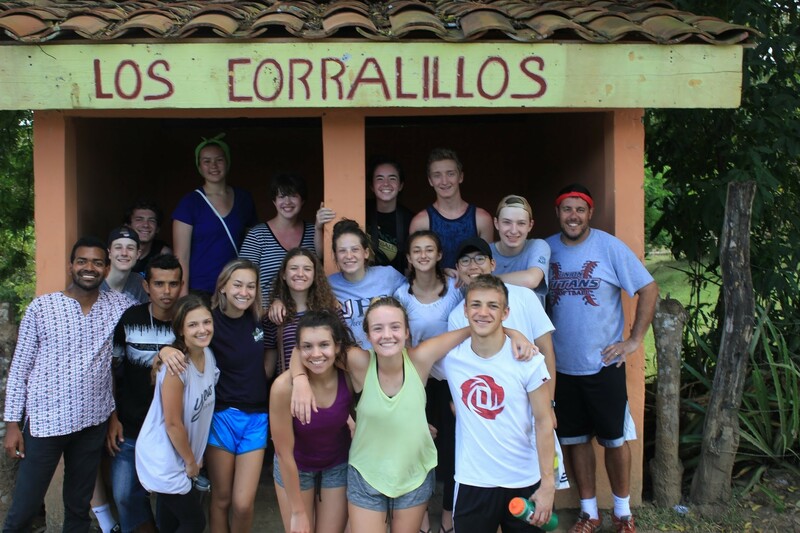 Our fellow students who were currently taking Spanish in school or had taken classes in past years of high school were a huge help, but the air of awkwardness was tangible as our few attempts to communicate didn’t go as smoothly as we had expected. Even so, the excitement didn’t wane. Members of the community helped us pump up our air mattresses in their school, where we were graciously welcomed to stay. Little Paula introduced herself to everyone and raced around the room, smiling and laughing, sitting on the filled mattresses and even trying to help me with the sheets I had been struggling to fit on the mattress. We settled down that night, still not knowing what to expect. When we woke up in the school room surrounded by air mattresses and our peers, the morning air already warm, it was a surreal feeling. 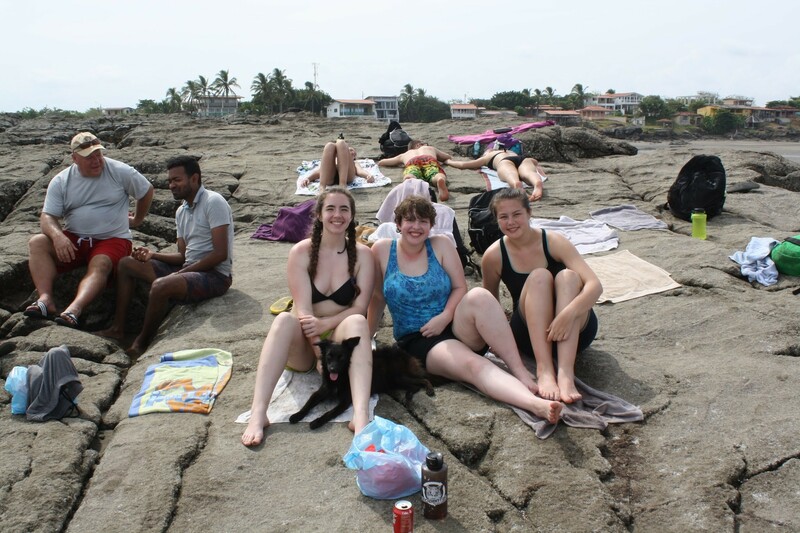 We were actually in Panama! This feeling of awe never really disappeared. 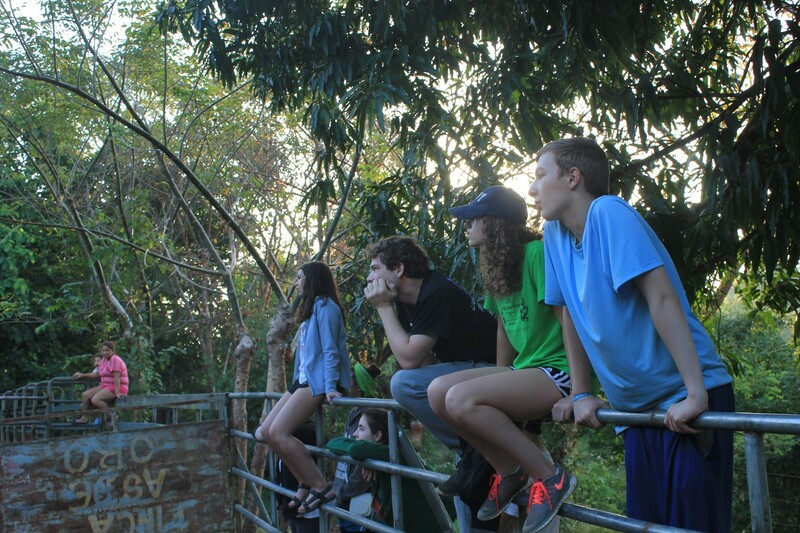 Through all ten days, we would be going about our crazy adventure of a day and step back to remind ourselves that we were in Panama. That we were living the unforgettable experiences with every step we took and every word we said. 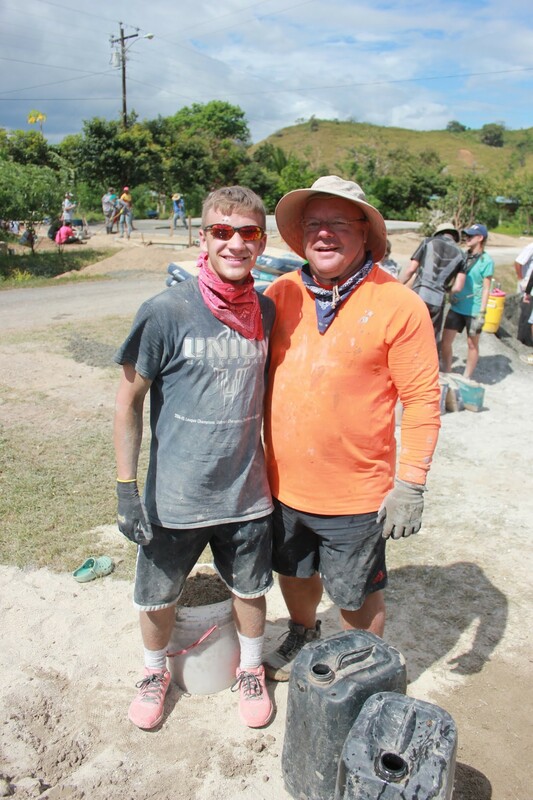 The next morning it was time to put on our gloves, fill our water bottles, and get to work. We walked across the road in front of the school and got to see the place that would soon be a completed court. Large piles of dirt were in need of being spread, so shovels got passed around. There was wheelbarrow duty, which allowed a brief moment of rest before lugging the heavy load of dirt to an area lacking it. 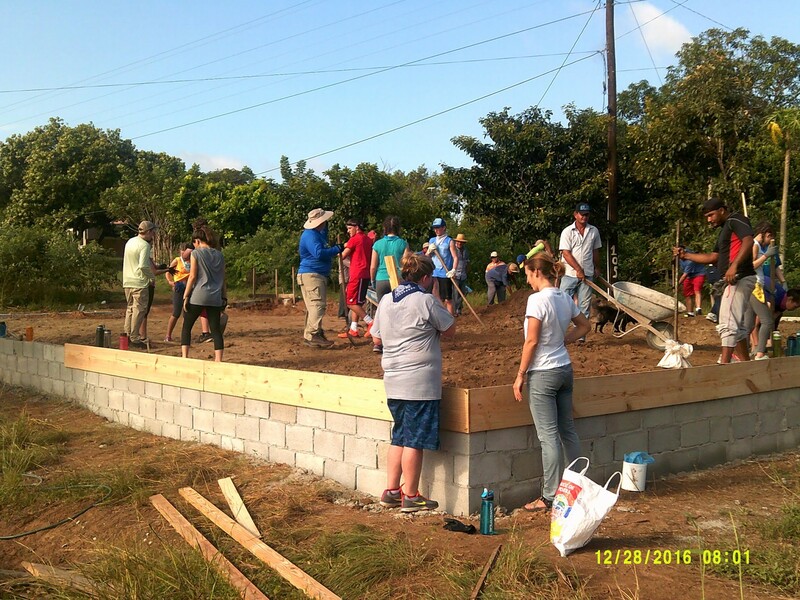 A few worked with the manual compactor to create a solid foundation for the cement we would pour in the following days. While grabbing a sip of water, I was amazed to see what we had completed in only a few hours. This surprise continued as we looked back at our days’ work and the progress we had made. Throughout all of the sweat and labor we put into the court, we did it all with a smile. Even accidentally dumping cement mix over our heads couldn’t bring us down. 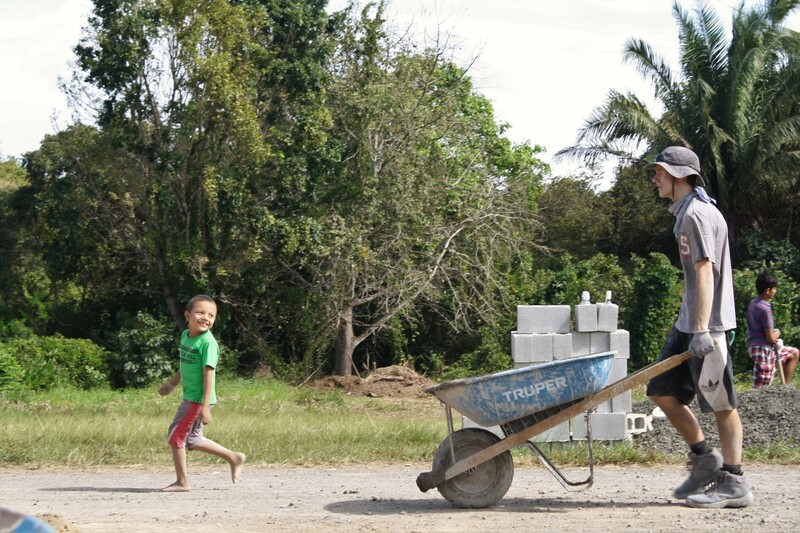 The great attitude and strength it took to pour cement, cut 100lb bags of cement powder with a machete, push wheelbarrows, and shovel dirt (…and shovel… and shovel a bit more) through the humidity and heat was because we could see the changes we were making in this community right before our eyes. 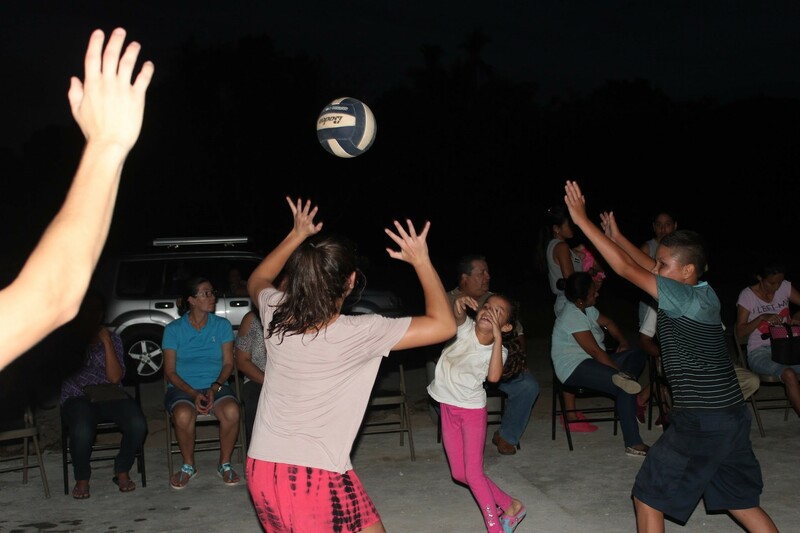 Because we had found ways to talk to the community members despite a language barrier (acting out what we wanted to say or picking up on the language we were immersed in), we could hear how we were impacting their lives in the community. That also inspired us to continue. 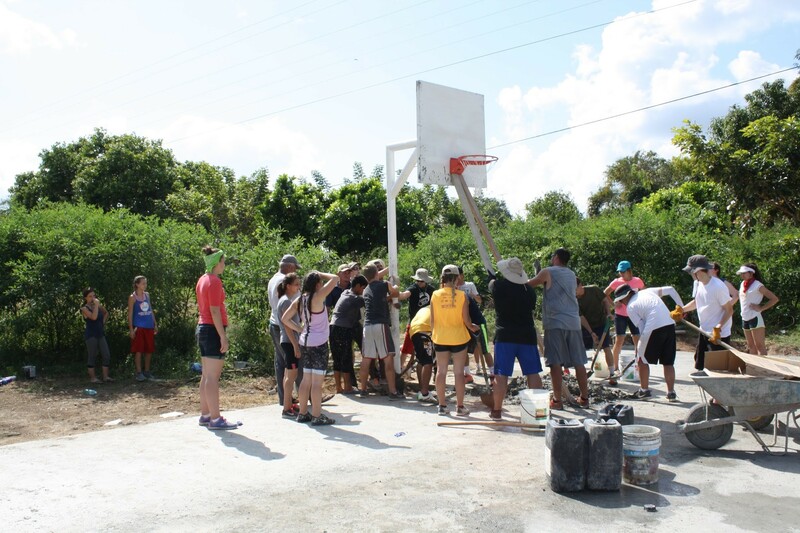 There came a special moment for each one of our 19 team members: a moment where we forgot we were volunteering to change the lives of others, because our own lives were being so drastically changed. 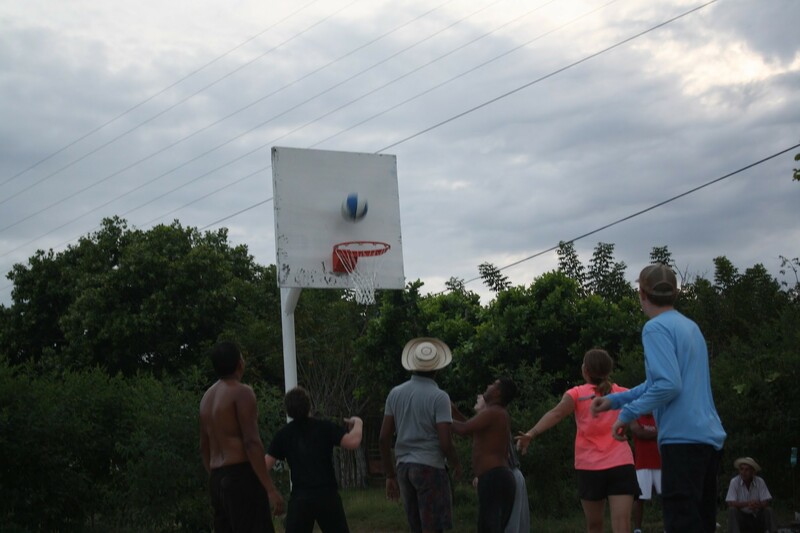 It happened somewhere between the cement coating our skin and clothes, the hours of hard work, the conversations and friendships being forged within our team, as well as with the locals in Los Coralillos, between the games we played on the court, and the jokes we told as we explored the community. 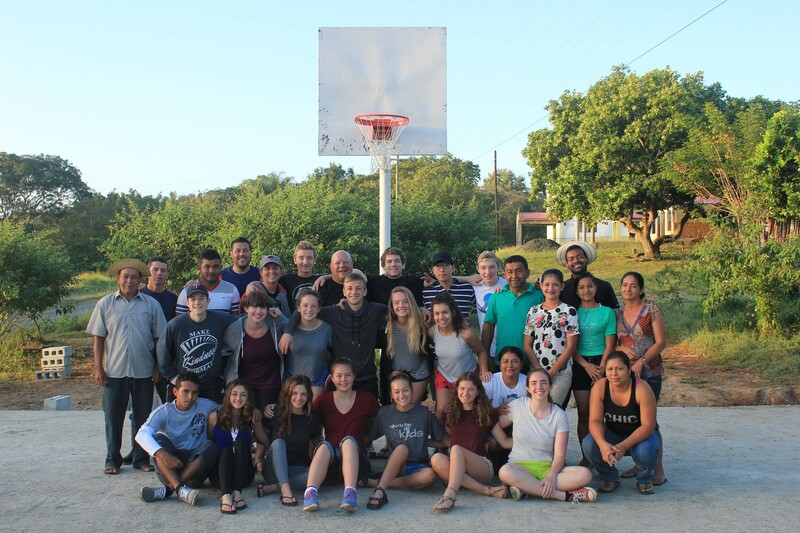 Together, the people of Los Corralillos and Union High School completed the new court in only 3 ½ days. By the end of the ten days, we were a single community, no longer separated by language, or material goods, or vast cultural differences. We celebrated New Years with music, dancing, and, as Panamanian tradition calls for, the burning of a stuffed muñeca doll. Little did we know, one of our helping Peace Corps volunteers, David, put fireworks inside the doll before we had lit it on fire. The next morning we woke up to visit another community, where we happened to need a swimsuit and towel. The water was incredibly warm, and it was a well deserved, relaxing break after working so hard on the court. 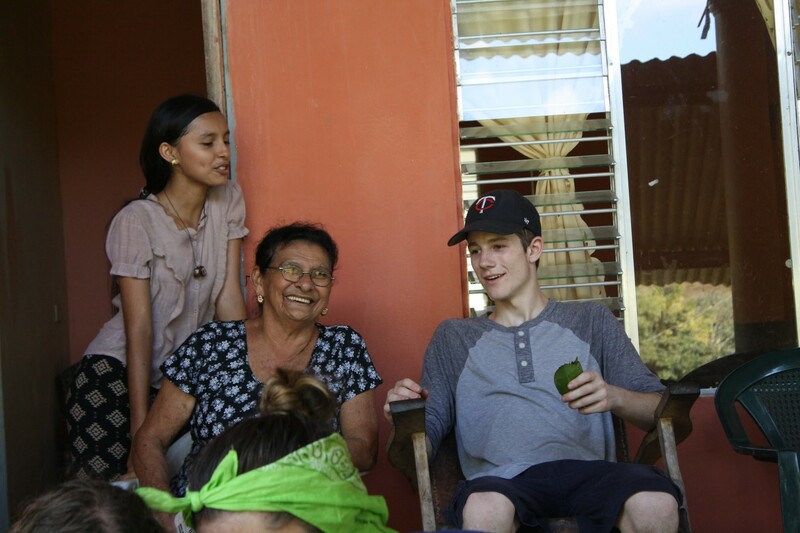 We also visited locals’ houses, including Sergio’s, who introduced us to new fruits, catching chickens (Go Mason! ), and his adorable puppy. From Sergio’s house, we walked up one of the many hills that covered the area. What an amazing view we had! We could see for miles, and everything looked so small from the hilltop. 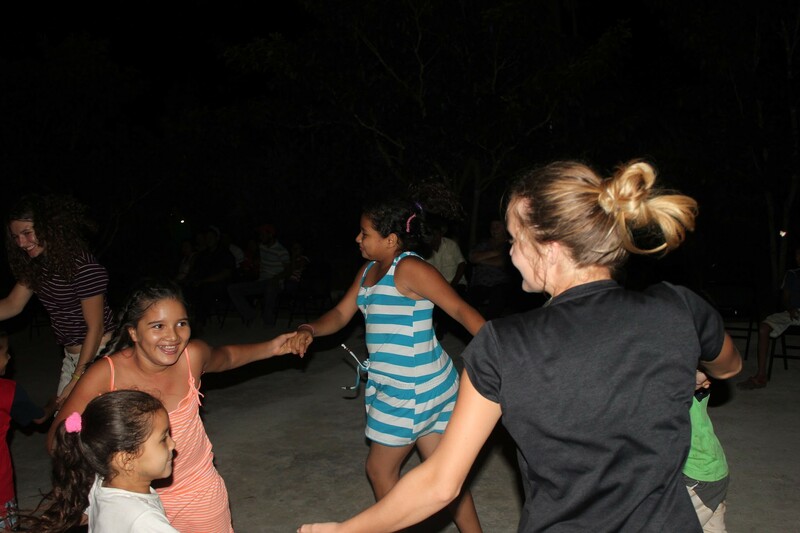 We spent our last full day in Los Coralillos visiting with locals and playing sports with the community members. It became quite apparent that the court was, and would continue to be, a community center. At one point, I looked up from my volleyball game and there were two half-court basketball games being played on the new court, a soccer match happening in the field nearby, and groups of people from the community and Union High School chatting in the shade. The court inauguration was that evening, and we danced for hours, spinning around the court with children and dancing with the adults. Locals and Union students shared what building the court meant for themselves and the community as a whole. 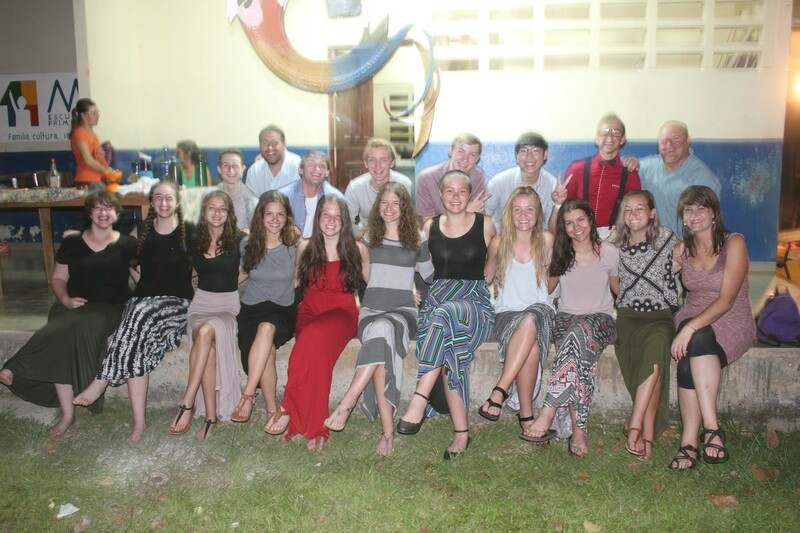 After the party, the Union High School students gathered on the steps of the church to hug and say tearful goodbyes to the locals as they walked back to their homes.